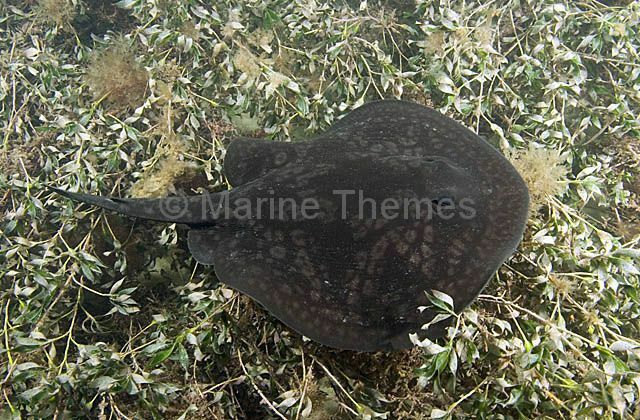 Spotted Stingaree (Urolophus gigas) swimming over seagrass beds. 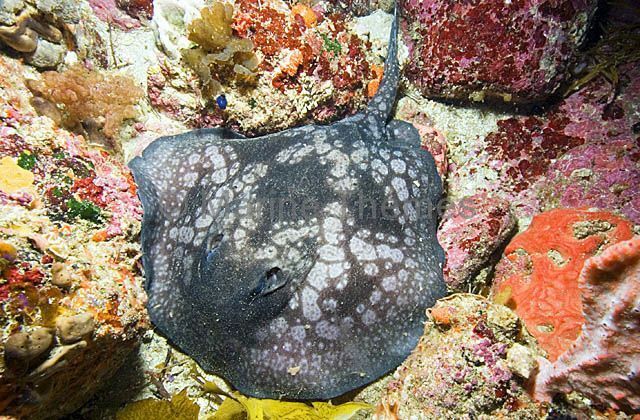 Spotted Stingaree (Urolophus gigas) or Sinclair's Stingaree resting on rocky reef. 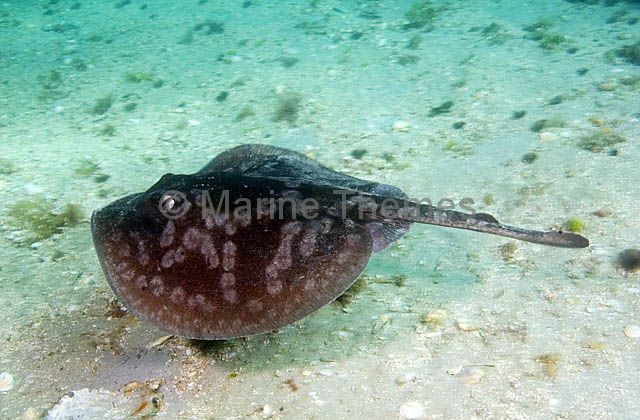 Spotted Stingaree (Urolophus gigas) Juvenile foraging over sandy sea bed. 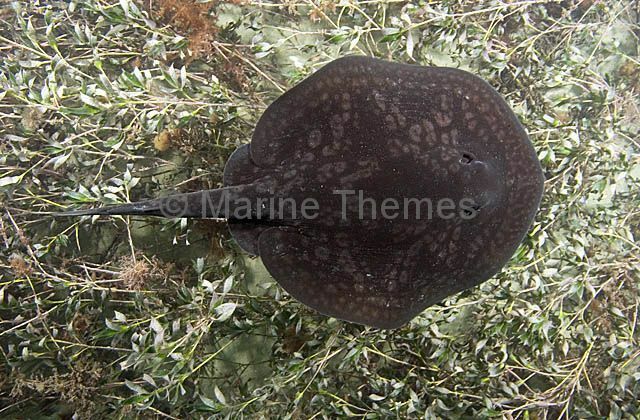 Spotted Stingaree (Urolophus gigas) Profile showing dorsal fin on tail, rounded caudal fin and distinctive pattern. 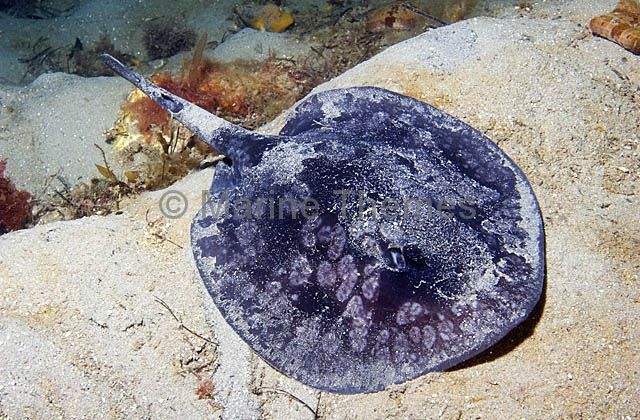 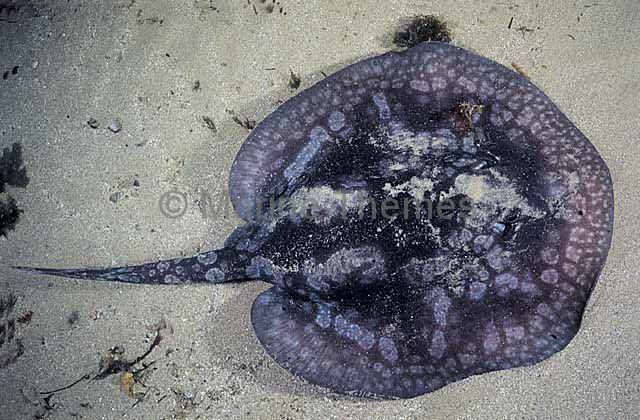 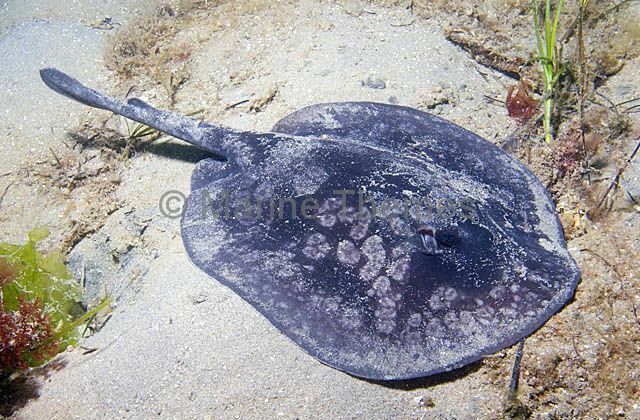 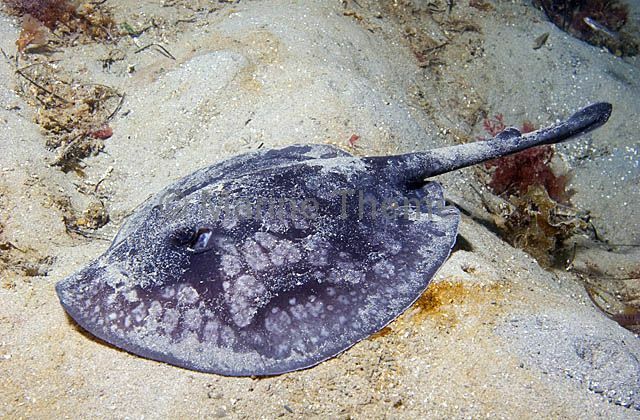 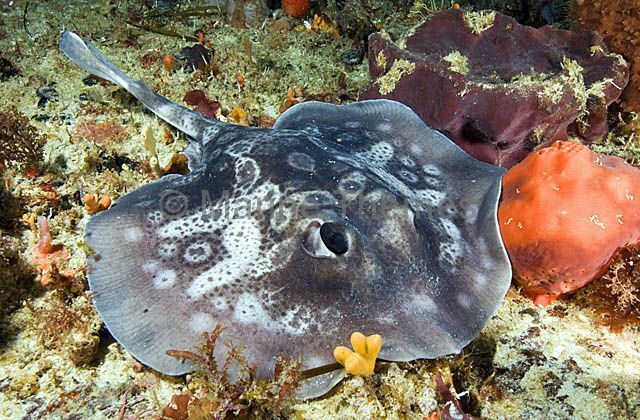 Spotted Stingaree (Urolophus gigas) resting on sandy sea bed. 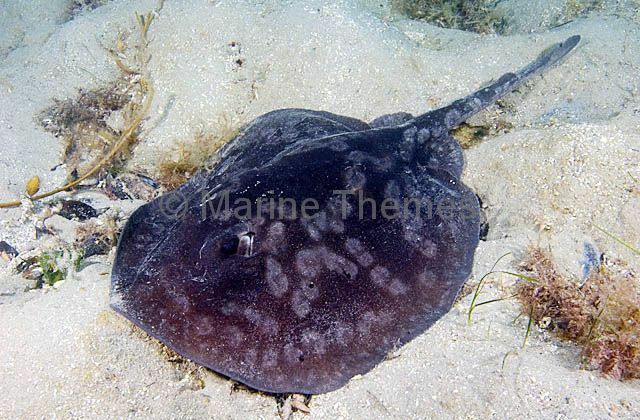 Spotted Stingaree (Urolophus gigas) foraging over sandy sea bed. 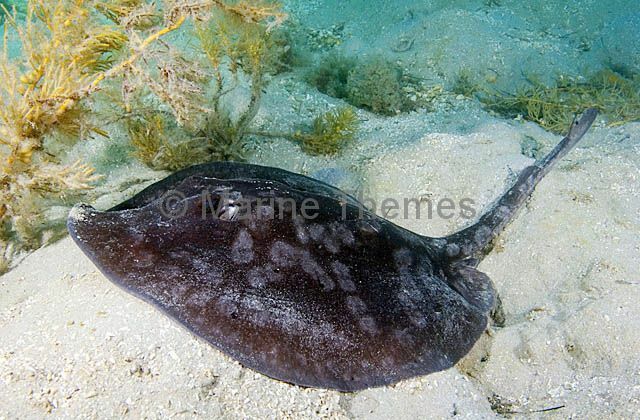 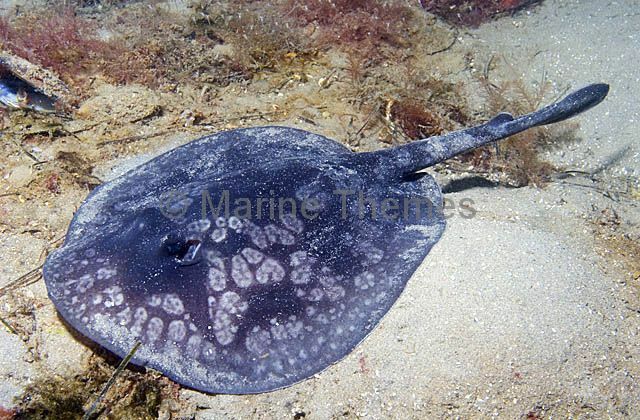 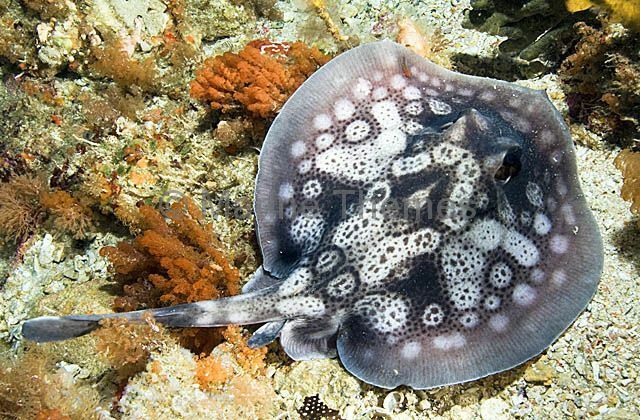 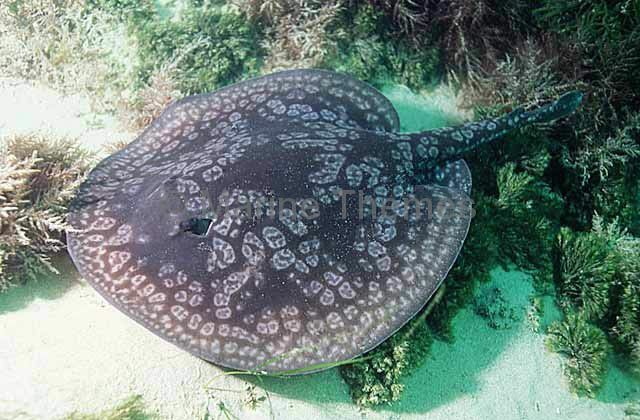 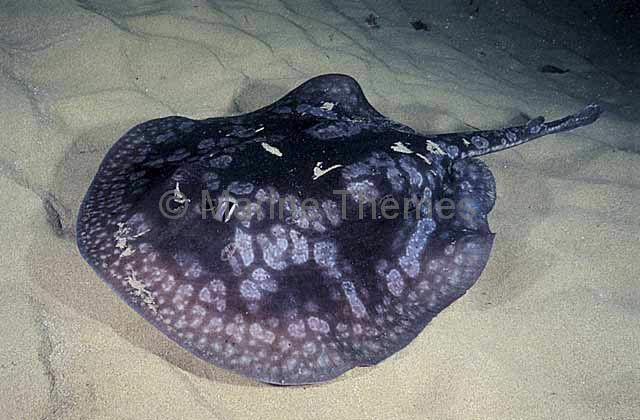 Spotted Stingaree (Urolophus gigas) swimming over sandy sea bed.